In a process that mirrors our own spiritual journey, the story's hero, Pastor Jason Faircloth, embarks on a journey where he discovers a rich relationship with God and the peace that finally comes with true faith. Filled with fast-paced action and captivating characters, Wisdom Hunter offers a powerful message about the enslaving hypocrisy of legalistic Christianity. This rerelease of Randall Arthur's bestselling novel presents the hypocrisy of Christian legalism and a man's search for the only surviving member of his family. The story's hero, Pastor Jason Faircloth, embarks on a journey that lasts eighteen years and takes him through four countries in a quest to find the granddaughter who is being hidden from him. In a process that mirrors our own spiritual journey, he discovers a rich relationship with God and the peace that finally comes with true faith. For twenty years, Randall Arthur was a missionary pastor in Europe. With his wife, Sherri, he founded and organized churches in Oslo, Munich, and Berlin. He has lived in Georgia since 1998, recruiting, training, and leading short-term mission teams that assist churches in Western Europe. 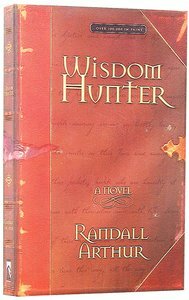 Customer Reviews For "Wisdom Hunter"
I'm around two thirds way through Wisdom Hunter, Randall Arthur's first novel and I'm hooked. The plot combines compelling fiction with a plausible critique of our modern day church. Drawing on his roots (he's an American plus his time in Europe as a  missionary worker he manages to paint accurate and attractive word pictures of life in various European countries. Even though I've not quite finished the book - I am resolved to read other books by Randall.